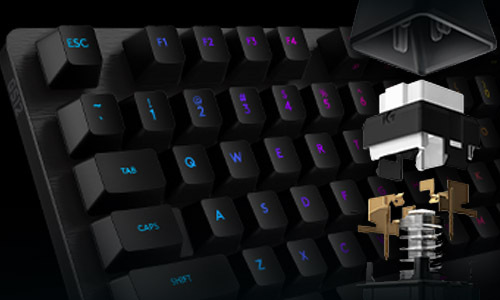 When it comes to gaming keyboards, mechanical switches are now all the rage. Whereas a decade ago the coolest thing you could have on a keyboard was an LCD screen that looked pretty, even if it was ultimately useless, nowadays hardware manufacturers have keyed onto the fact that what gamers really want is just a product that’s high performance, but comfortable at the same time. And if it can glow in lots of different colours, that’s a bonus too! Enter, Logitech’s G512 Carbon Mechanical Gaming Keyboard. The G512 is a part of Logitech’s latest line of gaming accessories, and at AU $179.95 it includes just about everything a modern PC gamer could want. It features mechanical switches, full RGB lighting, customisable profiles, a USB passthrough, and that’s even before you get to the cool little gimmicks like Logitech’s Lightsync technology. But is it everything that its specifications make it out to be? Well, the most important thing for me to get across about this keyboard is how amazing it actually feels to type on. The soft-touch matte finish in each keycap are both comfortable to rest your fingers on, and tactile enough that they won’t slip either. The G512 features Logitech’s Romer-G switches, an in-house competitor to the popular Cherry MX found in most gaming mechanical keyboards from other brands, and comes in two flavours. 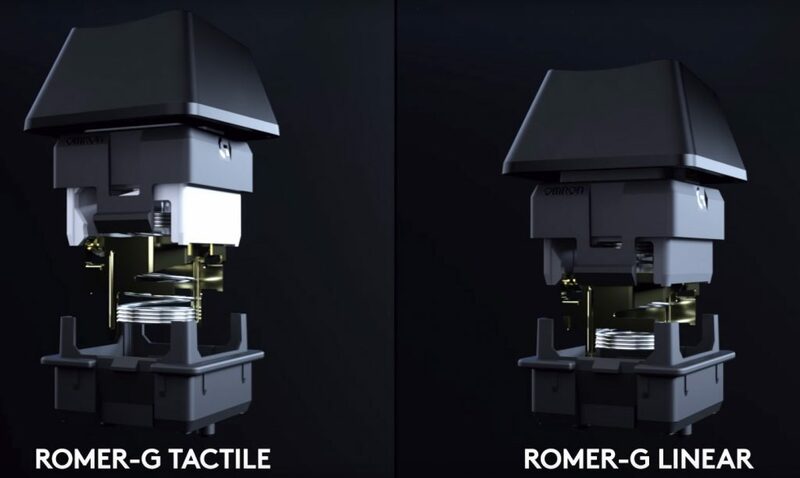 One features the Romer-G Tactile switches, which has a little tactile ‘bump’ that you can feel as you press the key in, while the newer variant features the Romer-G Linear switches, which stay smooth for the entire length of the key travel. The unit I reviewed had Romer-G Tactile switches, and for my typing and gaming preferences, this absolutely did the job for me – more than most Cherry MX keyboards I’ve tried, in fact. I’d actually go so far as to say the Romer-G Tactile version of the Logitech G512 is the most comfortable gaming keyboard I’ve ever used, and I’ve been through a few. The combination of the touch-feel of the keys, the response and subtler noise of the switches, and the weight of the keyboard all combine into a pretty excellent experience. 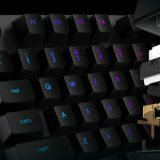 Logitech claim the Romer-G switches have a 40% longer durability over other mechanical switches, good for up to 70 million keystrokes, and while there was no way for me to reach quite that number in my week with the keyboard, I certainly didn’t find issues with responsiveness or quality in that time. The keyboard itself looks great as well, with a black-brushed aluminium design and a real weight that make it feel, well, expensive and classy. Logitech states that the G512 is made from the ‘5052 aluminum-magnesium alloy’ which is ‘aircraft-grade’, which seems unnecessary, but I can’t deny that it does look classy on your desk. It comes with a braided USB cable that’ll take up two USB ports on your computer, if you want to use the USB-passthrough port also included on the back of the keyboard (although, be aware that it only supports the speed and power for USB 2 devices). The G512 is full-sized, including a num-pad on the right, but doesn’t feature any dedicated ‘gaming’ keys, or more annoyingly, any dedicated media keys for quick access to volume or music. However, the F-keys can all be customised using Logitech’s proprietary software, which allows for multiple profiles that can be set for specific games. Logitech has a pretty extensive library of games already accessible via the software, which have commands from the game you can drag onto specific F-keys to easily assign frequently-used functions. You can also assign multi-key macros, text-blocks and mouse functions to the keys if you need, and the keyboard does have a dedicated ‘gaming’ mode which switches off the Windows key, and any others you need that would interfere during gaming. This is all made easy by the robust Logitech Gaming Software, which makes it pretty easy to drag and drop functions onto specific keys, or search for new ones. It also has pretty extensive, and fun to use, customisation options for the keyboard’s full RGB lighting, where you essentially have full control. Each key can be coloured individually, or you can set up ‘zones’ to group keys into certain colour groups. For instance, you may want to highlight the WASD keys in one colour, and other FPS keys in another, and leave the rest blank. If animation is more your thing, basic effects like ‘breathing’ or cycling between colours in waves or ripples are available – and impressive – but most impressive is the ‘Your Effects’ option, which not only has a long list of cool additional animations, but the ability to create and modify your own, using a simple timeline interface. Here you can find or create effects to simulate lightning, the Matrix green rain, or even a game of Snake playing out on your keyboard’s RGB lights. It’s a gimmick, sure, but it is fun. As one of Logitech’s newer RGB products, the G512 keyboard is also compatible with “Lightsync” although there aren’t a lot of games that fully support the feature yet. 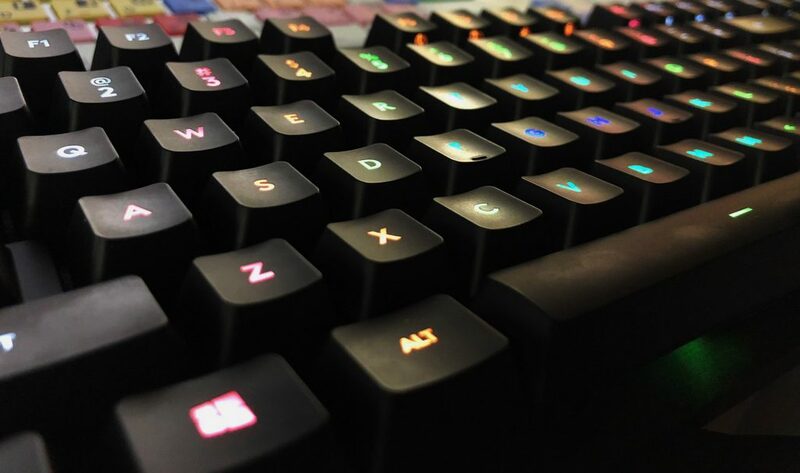 While Logitech claims compatibility with 300 games, these are largely custom colour profiles that illuminate regions of your keyboard to highlight game-specific keys. However, some games like Battlefield 1 or Civilization VI can take full control over your keyboard’s lighting to produce dynamic effects, such as blinking important keys or setting the general colour to your team. Perhaps most cool is an applet, tucked away in Logitech Gaming Software called ‘Screen Sampler’. This allows you to pick areas of your screen, which the software will then average out into colours which are reproduced on your keyboard. This means, for instance, as you’re moving in-game between a blue environment and a red one, the lighting on your keyboard will shift in real-time. It’s a cool and immersive effect, even if it takes some finagling to get right, although once you do for a game, you can save it as its own custom profile. 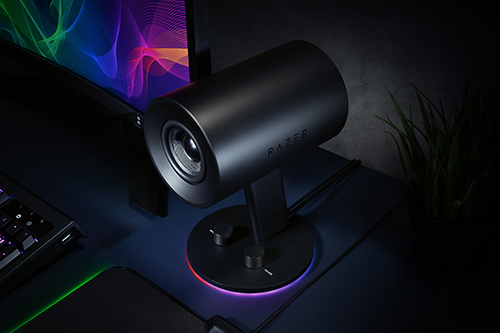 Combined with something like Logitech’s light-projecting G560 speakers, it’s an effect that really uses RGB lighting to its full potential. At AU $179.95, the Logitech G512 isn’t the most expensive gaming keyboard out there, although it is getting up there in price. If RGB lighting isn’t your thing, you can drop back to the G412 to save a cool $40, or try the HyperX Alloy FPS Pro for something more compact. That said, if you’re after a premium gaming accessory that looks the part, and more importantly feels the part, the Logitech G512 is a serious piece of hardware that is hard to pass up. Beyond its cool presentation and fun, if gimmicky, bonuses, it’s just a comfortable, solid keyboard both for gaming and general use typing. In my mind, it’s worth the asking price and then some, and I can see consumers using the G512 for many years to come.